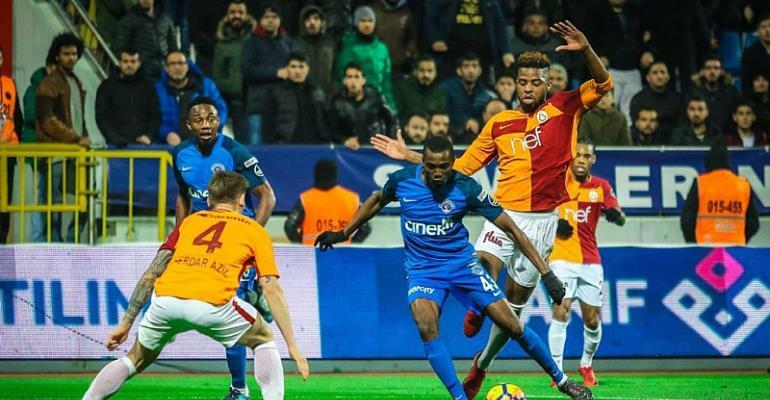 Bernard Mensah's Kasimpasa will take on Asamoah Gyan Kayserispor in the Turkish League in what promises to be an exciting encounter. Mensah is having a career revival in the Turkish league with Kasimpasa and has three-goal to his name already with two assists. He joined the Turkish League from Spanish giants Atletico Madrid after disappointing loan spells from Getafe and Vitoria Guimaraes. Asamoah Gyan has had a below-par season by far with just a goal to his name and being hampered by injuries in what has been a stop-start season. The two clubs, however, are enjoying a good season with Kasimpasa sitting on 9th position while Kayserispor is 6th on the league table.